Kerry and Laurie Kinderman, the new owners of the Outdoorsman Motel! 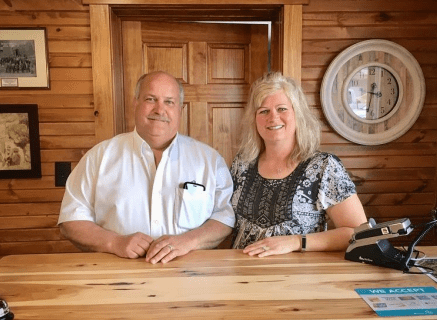 Kerry and Laurie Kinderman have recently opened the Outdoorsman Motel formally, known as the Sportsman, and are quickly renovating the rooms and outside. Kerry and Laurie join us from Lake Holcombe, Wisconsin, United States and are excited about their new venture in Wawa. 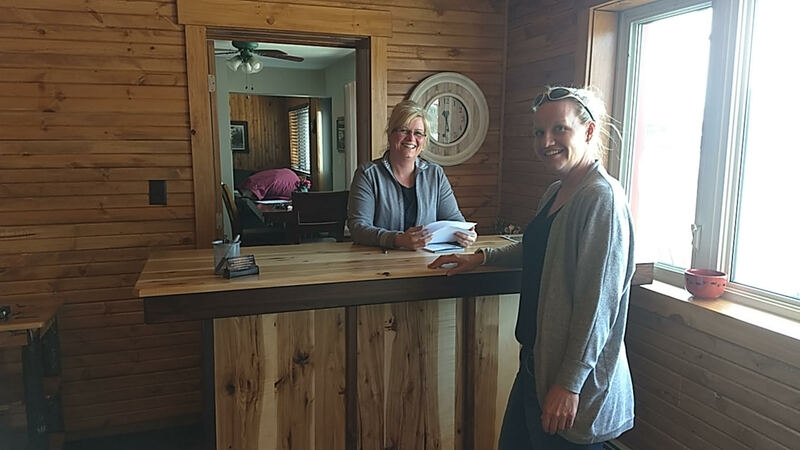 Kerry and Laurie have a passion for the outdoors and owned a camp on the Magpie River, visiting Wawa for years before taking the plunge to become business owners and residents. Kerry has a hobby of building homes and loves wood working, as you can see by the beautiful work in their motel lobby. They plan on renovating the entire 37 rooms to be wildlife themed. Currently, they have 17 rooms open for rent and are renovating room by room. Kerry stated that the rooms are larger than the average motel which customers find very convenient.